Whether it is removing garden waste or general household waste, hiring a skip bin makes waste removal easy and efficient. All that you have to do is to hire a skip, fill it up with your waste and leave the disposal to the professionals. This makes skip bins as one of the most popular here in Brisbane. But, if you’ve not hired skip bins earlier, you probably don’t know what to look for when hiring skip bins in Brisbane. 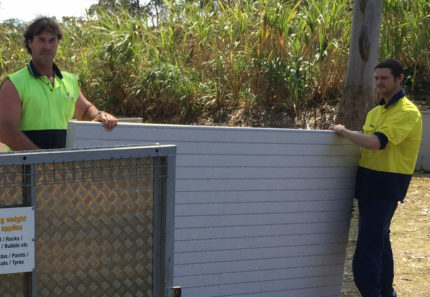 As the owner of 4 Waste Removals -the most sought-after skip bin company in Brisbane, today I will outline the top elements that our customers want with skip bins. 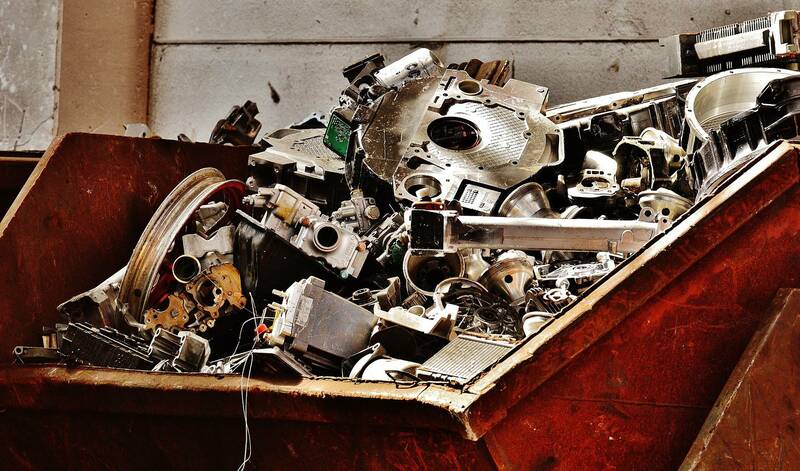 Make sure to consider these factors when you hire a skip bin yourself. One of the most important elements people look for when hiring skip bins in Brisbane is affordability in price. Skip bin hire prices vary from one company to another. Make sure to compare prices between companies and also with those of the council wheelie bins before making a hire. 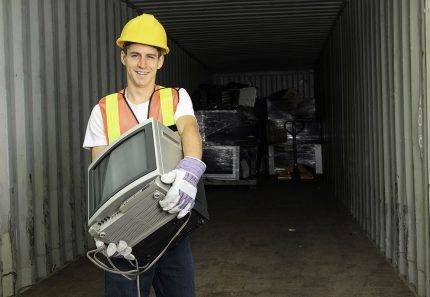 Here, at 4 Waste Removals, we’re one of the most affordable skip bin providers in Brisbane. 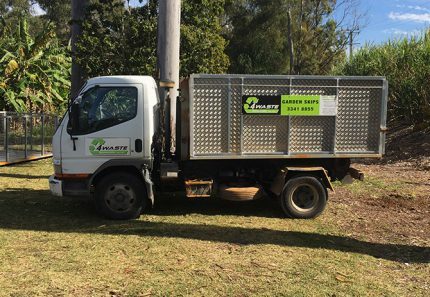 You can hire a skip from us for as low as $120 on a 7-day hire. Our prices are far lower than the national average. Another important element to consider when hiring skip bins in Brisbane is flexibility in size. Most skip bin companies will offer you different sized skip bins to choose. However, one problem with this approach is that you will need to estimate your waste amount beforehand to choose the right sized skip. If you choose to hire our skip bins, you won’t face this problem at all. Our skip bins come in a standard size, and they can accommodate any waste amount ranging from 2m³-12m³. We offer a one-size-fits-all policy when it comes to waste and do not bill customers for the size of the skip. Instead, we charge customers based on the amount of waste filled into the skip. Flexibility in delivery is another very important factor to consider when hiring skip bins in Brisbane. You don’t want to deal with the hassles of delayed delivery or delivery at an improper location. That’s why you should always hire skip bins from a reputed company, such as us at 4 Waste Removals. We offer scheduled delivery and same day delivery across Brisbane Southside. Because our skips are smaller in size, they can be delivered right to your premises, and they can be placed in difficult to access positions. Our skips are available on a standard 7-day hire, which offers you six full days to load your waste into the skip. Finally, ease of use is another factor to consider when hiring a skip bin. With a skip bin, waste removal is supposed to be easy and efficient and not the other way around. That’s why you should hire walk-in skip bins, such as those we offer here at 4 Waste Removals. Our unique skip bins include a rear swing door which provides direct walk-in entry. This means you can carry larger items or wheel in a wheelbarrow to load waste into our skips. Due to this, our skip bins offer great ease of use over standard skip bins. When it comes to hiring skip bins in Brisbane, there are certain elements that you must look. These include affordability in price, flexibility in size, flexibility in delivery and ease of use. These factors will help ensure that you hire the right skip for your needs. 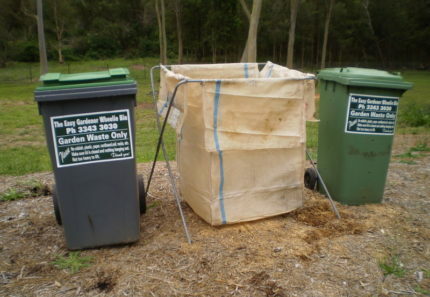 For affordable and reliable skip bins in Brisbane, consider us at 4 Waste Removals. Hire our walk-in skip bins today!